Our organization is administered by two highly experienced Co-Directors who ensure that our operations remain aligned with our mission statement and meet the evolving needs of our constituency. As Founders of JTown, they are dedicated to fulfilling the vision of an inclusive, warm and engaging community where Jews of all backgrounds come together. 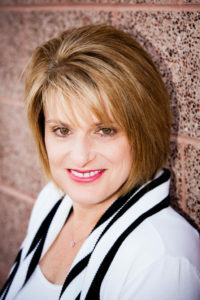 Cindy Abramson has been a communications consultant for many years, working for businesses, non-profit organizations, and individuals on creation of promotional materials, marketing collateral documents, branding, editing, writing, and website (concept, content creation, and management). She has co-written and published two books (one is a national book award winner). For more than ten years, Cindy worked for Temple Sinai in Denver as Religious School Assistant Principal, Assistant Executive Director and, most recently, Communications Director. Cindy is a third generation Denver native. She and her husband, Rob have 4 children and 6 grandchildren between them. I choose every day to be a happy person and truly believe that laughter is the best salve for almost every problem-- oh, and ice cream too...and Deep Eddy's ruby red grapefruit vodka with a splash of soda and a slice of lime. I have always felt very connected to the Jewish people that came before me, and tried to live my life with the Jewish values I learned in religious school and from my parents. I feel a connection with other Jews. There is just something comfortable about being with Jews, kind of like your favorite, super soft sweatshirt. Not by any conscious decision, most of my friends are Jewish. But, throughout my life, I have wrestled with what being Jewish really means and where I fit in. I think it is because I have always struggled to find resonance in the liturgy and worship of organized religious institutions. As a kid, I remember just mouthing the words of the services so my mom wouldn't get mad that I wasn't participating, but it didn't feel right to read words out loud that I wan't sure I believed. I am thrilled to be a part of creating something different for myself and for others that is inclusive of all iterations and phases of each individual's Jewish identity. My dream is to create a safe, comfortable space where we can be our best Jewish selves--whatever that is for each of us. What is your JStory? Please submit to info@jtownco.org. Amy Becker grew up in Denver and from her early years as a teenager was involved in Jewish community activities. After college, Amy was appointed as the Regional Director of Rocky Mountain Region B'nai B'rith Youth Organization, supervising programming for over 400 teens in Colorado, Wyoming and New Mexico. 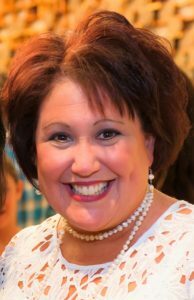 Following her youth experience, Amy was hired as the Director of Programming for Temple Sinai in 1994 and for the next 23 years she served not only in this role, but also as the Preschool Director, Assistant Executive Director and finally the Executive Director. Clearly she had an affinity for serving the Denver Jewish community. Amy has a wonderful and supportive husband of 17 years, Jeff, who volunteers at her side. They have twin teenagers, Corey and Chelsea, who also are committed to social action activities and Jewish youth programming in the community. My love of Judaism didn’t begin in Religious School or by belonging to a synagogue…that came much later!! It began at home with my family and also with my grandparents who hosted every holiday celebration. As a teen I joined B’nai B’rith Youth Organization and from the day I joined, I have not stopped working in the community. (Although I did stop to tee-pee a few houses along the way!) It was the supplementary experiences that provided me with inspiration, desire, and an annoying insistence that others come along for the ride. Now I am the mother of two teens, I want my children to experience the best model of Jewish connectedness and even further, I want them to learn as I have that building strong, meaningful relationships is a key to success in life. I believe there is no better time to approach creating additional Jewish engagement opportunities then now. The world is changing and our children are growing up with confusing things we never knew of when we were young. We can teach them by modeling how to make meaningful connections and by helping others in the greater community. Jewish non-profit work is in my blood and in my soul. I am honored to have a creative and inspirational partner and to have the opportunity to share our vision for JTown!